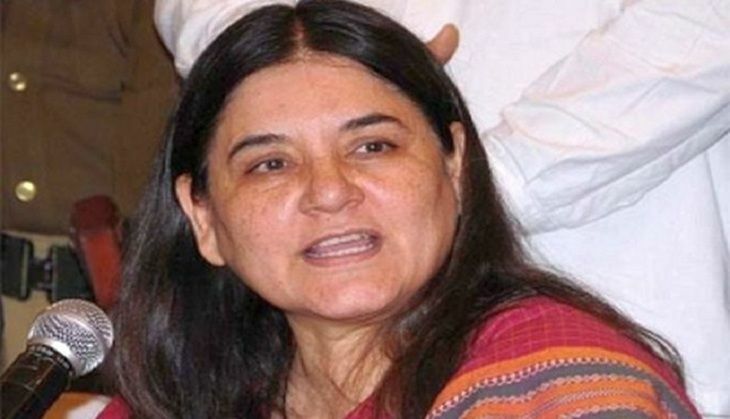 "Two years have been really tough for us, we have to start from zero and in these two years we've achieved some of our goals," said Maneka Gandhi, Union minister for Women and Child Development. During an interview with a TV channel, she spoke extensively on initiatives taken up by her department, its future goals as well as government policies. Every mobile phone in India will have a panic button by 1 January 2017. With a panic button, a woman would be able to use it when in danger. An app is also being developed through which at least 10 people will get an alarm in case of an emergency. Maintaining that Panchayati Raj has empowered women with two lakh of them becoming sarpanches, she said that the sad part is that their husbands do the actual work and are called "sarpanchpati" and "pradhanpatis" while the women remained in veils (ghunghat). It is also being ensured that there are 33 per cent women in the police force which will ensure better women safety. 'One-stop centres' for women who have been victims of violence and 130 such centres will be opened this year while the government has plans to take it to 660. The work by the government in preventing female foeticide has led to good results and in a state such as Haryana, in one year, the ratio of females to males has increased from 830 to 907 for 1000 individuals. The new Juvenile Justice act will hold parents responsible if their child drives a vehicle before acquiring a license. For the first time, a national register of sexual offenders is being created and a women's safety helpline 181 has been set up through Nirbhaya fund. The government will build more correction homes. The priority of the government in 2017 will be to end malnutrition and human trafficking. The government will also promote foster care. Citing an example, she said that in Madhya Pradesh, 3,000 kids were taken for foster care.